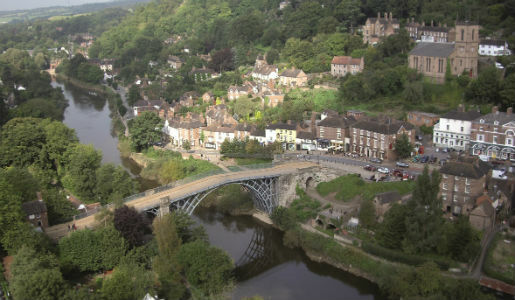 Telford & Wrekin Council is carrying out a number of traffic surveys across Ironbridge in the coming weeks with a view to developing an area wide strategy for the Gorge. The information from these counts will be used to inform studies on issues relating to speeds, HGVs, traffic calming and rat running. Once the data has been collected, it will be analysed to further understand traffic movements in the Gorge and identify potential issues and possible solutions. A draft strategy is likely to come out for consultation before the end of the year. Following this, consideration of sources of funding to deliver improvements will be sought, this could be a mix of Central Government bids or other funding streams including the highways capital programme. It is likely that work will be delivered on a priority basis in relation to speeding and safety issues depending on the outcome of the surveys and will be delivered over a number of years within the Gorge. The counts being carried out this week will be Automated Traffic Counts and these typically consist of two black rubber tubes laid across the carriageway. The counts collect information on numbers of vehicles, types of vehicles and speeds.